"I'm not trying to show you a mugshot of a guitar; I'm trying to show you the soul." With an amazing eye for detail, extremely friendly personality and infectious smile, Lisa is the epitome of 'Rock Star', travelling the world, attending concerts, handling some of the most iconic and recognizable guitars in the music business. 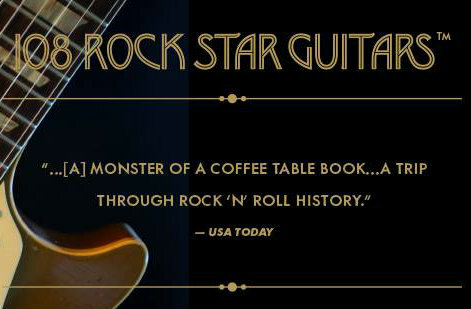 The distinct wear and tear on the guitars are magnified on the pages of her book. Every scratch and dent could tell a story. 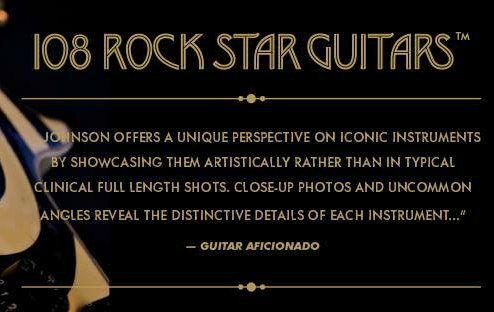 The intimacy between photographer and guitar creates a perfect backdrop that results in rich, alluring images. 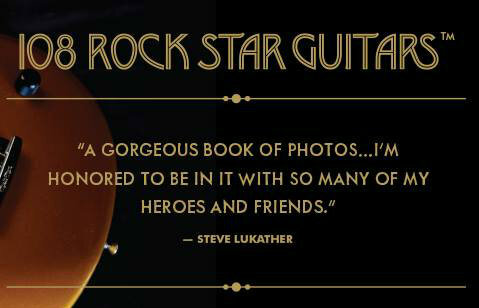 Her photographs speak for themselves, however some of the subjects she has photographed are more than eager to comment on the extraordinary images of their own guitars. "I'm so in love with what I'm doing"
Lisa S. Johnson has put her heart and soul into this project. She has spent 17 years, travelling around the world, seizing the opportunities to photograph some of the music world's most recognizable guitars. She does so with impeccable attention to detail, all while making it fun and exciting for the reader. 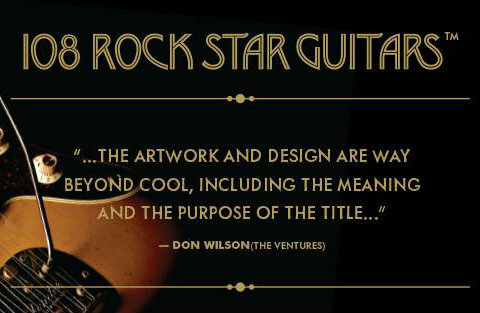 The images of the guitars fill the pages and every tiny detail is visible to the reader. Lisa has allowed angles and lighting to be her assistants while shooting the guitars. No one else can get you this close to such iconic instruments. Every little scratch, dent, worn spot tells a story of its history with its owner. The photos are vibrant, visual storytellers. 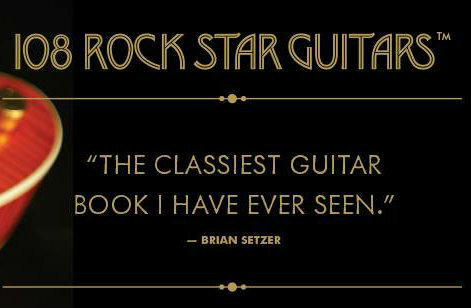 The forward of the book is written by the late, but great, Les Paul himself. 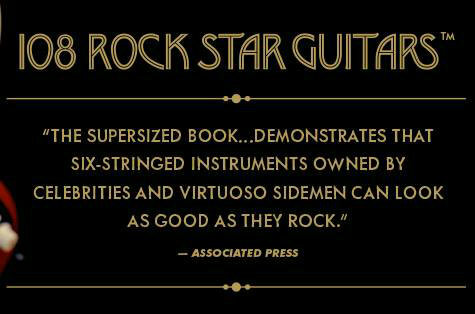 Every book sold, a portion of the proceeds benefit the Les Paul Foundation. 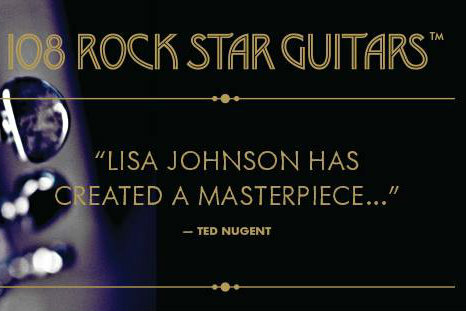 The Foundation honors the life, spirit and legacy of Les Paul. It's a wonderful foundation that supports music education, engineering and innovation as well as medical research. To learn more about the foundation or to donate: Les Paul Foundation. Lisa has become a dear friend of ours and it's always exciting to see what event or show that she will be attending next. Definitely an adventure living vicariously through her. She's been working hard photographing more guitars that will be included in the next volume of 'Rock Star Guitars'. John 5, Joe Perry, B.B.King to name a few. If it's even half as incredible, as the first Volume is..we are all in for a treat. Special thanks to Lisa for being an incredible, beautiful person, inside and out. She has an amazing soul that welcomes everyone into her 'rock and roll' life. 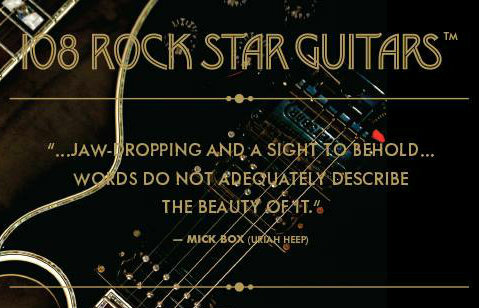 Wishing you all the success with 108 Rock Star Guitars and beyond. 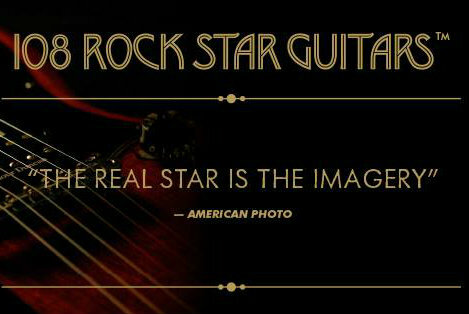 You can purchase '108 Rock Star Guitars' on their official website : Buy 108RSG.